The interface between psychiatry and dermatology is multidimensional and begins in early development. The skin is a vital organ of communication and the earliest social interactions between the infant and its caregivers occur via the body, especially through touch. A disruption in tactile nurturance, for example, as a result of a skin disorder during infancy or due to childhood abuse and/or neglect can be associated with serious psychiatric morbidity in later life including major depressive disorder, body image pathologies, a tendency to self-injure and dissociative states when there is significant psychological trauma present in association with the neglect. The importance of the skin in social communication is further exemplified during adolescence when the development of a cosmetically disfiguring skin disorder such as acne can be associated with depression, suicidal ideation and body image disorders including eating disorders. The role of the skin as an organ of communication remains important throughout the life cycle, as the development of a disfiguring skin condition at any life stage can have a significant impact on the quality of life of the patient. In certain conditions such as acne and psoriasis, the psychiatric comorbidity and the impact of the skin disorder on the quality of life of the patient are often the most important component of the overall morbidity associated with the skin condition. Psychiatric disorders in the dermatological patient are generally assumed to be secondary to the skin disorder; however, in some instances they may be primary and/or have a direct impact on the course of the dermatological symptoms. Pruritus severity in psoriasis and atopic dermatitis has been noted to correlate directly with the severity of depressive symptoms in the patient, suggesting that depression may modulate pruritus perception. Depressive disease is one of the most frequently encountered psychiatric disorders in dermatology and may be a feature of a wide range of conditions including psoriasis, acne, chronic idiopathic urticaria and atopic dermatitis. Depressive symptoms may also present as somatic equivalents, for instance cutaneous dysaesthesias for which no physical basis can be identified. Psoriasis and acne have been associated with suicidal ideation and suicide. In psoriasis the frequency of suicidal ideation generally increases with increasing psoriasis severity; however among acne patients, the severity of the skin lesions and frequency of suicidal ideation do not show a consistent relationship, as even mild-to-moderate acne has been associated with depression, suicidal ideation and completed suicide. Some of the other psychiatric syndromes in dermatology include OCD which may manifest as repetitive hand washing or bathing, trichotillomania, onychophagia, neurotic excoriations or an excessive concern about a minor or imagined 'defect' in the skin. Social phobia or social anxiety disorder can be a feature of a wide range of cosmetically disfiguring conditions or conditions that become more visible when the patient is autonomically aroused such as rosacea and hyperhydrosis. PTSD is often under-recognised and may be an underlying problem in the self-induced dermatoses such as trichotillomania and dermatitis artefacta. BDD or dysmorpho-phobia is often encountered in patients who present with an excessive concern about a minimal or imagined dermatological problem such as minimal acne, wrinkles or vascular markings. Overall, it is important to evaluate and manage the psychiatric comorbidity in the dermatological patient, as they can contribute towards a large proportion of the overall morbidity associated with the skin disorder and usually have a significant impact on the quality of life of the patient. In some instances, the psychiatric comorbidity such as depressive disease can have an adverse impact on dermato-logical aspects of the disorder due to poor adherence to treatment or a possible direct effect on certain symptoms such as pruritus. Certain body image pathologies may predispose the patient to overestimate the severity of their dermatological symptom, which may culminate in excessive concerns about minor problems or patient dissatisfaction with treatment outcome. It is therefore increasingly recognised that an improvement in psychiatric comorbidity is an important measure of treatment outcome for a wide range of dermatological patients. Aktan, S., Ozmen, E., & Sanli, B. (2000). Anxiety, depression, and nature of acne vulgaris in adolescents. International Journal of Dermatology, 39, 354-357. Allen, A.D. (1989). Intractable atopic eczema suggests major affective disorder: poor parenting is secondary (letter). Archives of Dermatology, 125, 567-568. American Psychiatric Association Committee on Nomenclature and Statistics (1994). Diagnostic and Statistical Manual of Mental Disorders, 4th edn. Washington, DC: American Psychiatric Association. Badoux, A., & Levy, D.A. (1994). Psychologic symptoms in asthma and chronic urticaria. Annals of Allergy, 72, 229-234. Calikusu, C., Yucel, B., Polat, A., & Baykal, C. (2003). The relation of psychogenic excoriation with psychiatric disorders: a comparative study. Comprehensive Psychiatry, 44, 256-261. Colon, E.A., Popkin, M.K., Callies, A.L., Dessert, N.J., & Hordinsky, M.K. (1991). Lifetime prevalence of psychiatric disorders in patients with alopecia areata. Comprehensive Psychiatry, 32, 245-251. Cotterill, J.A. (1981). Dermatologic non-disease: a common and potentially fatal disturbance of cutaneous body image. British Journal of Dermatology, 104, 611. Cotterill, J.A., & Cunliffe, W.J. (1997). Suicide in dermatological patients. British Journal of Dermatology, 137(2), 246-250. Czubalski, K., & Rudzki, E. (1977). Neuropsychic factors in physical urticaria. Dermatologica, 154, 1-4. Driscoll, M.S., Rothe, M.J., Grant-Kels, J.M., & Hale, M.S. (1993). Delusional parasitosis: a dermatologie, psychiatric and pharmacologic approach. Journal of American Academy of Dermatology, 29, 1023-1033. Engel, G.L. (1980). The clinical application of the biopsychosocial model. American Journal of Psychiatry, 137, 535-544. Fortune, D.G., Main, C.J., O'Sullivan, T.M., & Griffiths, C.E. (1997). Quality of life in patients with psoriasis: the contribution of clinical variables and psoriasis-specific stress. British Journal of Dermatology, 137, 755-760. Gulec, A.T., Tanriverdi, N., Duru, C., Saray, Y., & Akcali, C. (2004). The role of psychological factors in alopecia areata and the impact of the disease on the quality of life. International Journal of Dermatology, 43, 352-356. Gupta, M.A., & Gupta, A.K. (1996). Psychodermatology: an update. Journal of American Academy of Dermatology, 34, 1030-1046. Gupta, M.A., & Gupta, A.K. (1998). Depression and suicidal ideation in dermatology patients with acne, alopecia areata, atopic dermatitis and psoriasis. British Journal of Dermatology, 139(5), 846-850. Gupta, M.A., & Gupta, A.K. (2000). Dermatological complications. European Eating Disorders Review, 8(2), 134-143. Gupta, M.A., & Gupta, A.K. (2001a). Dissatisfaction with skin appearance among patients with eating disorders and non-clinical controls. British Journal of Dermatology, 145, 110-113. Gupta, M.A., & Gupta, A.K. (2001b). The psychological comorbidity in acne. Clinical Dermatology, 19, 360-363. Gupta, M.A., & Gupta, A.K. (2003). Psychiatric and psychological comorbidity in patients with dermatologic disorders. American Journal of Clinical Dermatology, 4(12), 833-842. Gupta, M.A., Gupta, A.K., & Haberman, H.F. (1987). Dermatologic signs in anorexia nervosa and bulimia nervosa. Archives of Dermatology, 123, 1386-1390. Gupta, M.A., Gupta, A.K., Kirkby, S., Weiner, H.K., Mace, T.M., Schork, N.J., Johnson, E.H., Ellis, C.N., & Voorhees, J.J. (1988). Pruritus in psoriasis: a prospective study of some psychiatric and dermatologic correlates. Archives of Dermatology, 124, 1052-1057. Gupta, M.A., Gupta, A.K., Schork, N.J., Ellis, C.N., & Voorhees, J.J. (1990). Psychiatric aspects of the treatment of mild to moderate facial acne: some preliminary observations. International Journal of Dermatology, 29(10), 719-721. Gupta, M.A., Gupta, A.K., Ellis, C.N., & Voorhees, J.J. (1992). Bulimia nervosa and acne may be related: a case report. Canadian Journal of Psychiatry, 37, 58-61. Gupta, M.A., Schork, N.J., Gupta, A.K., Kirkby, S., & Ellis, C.N. (1993). 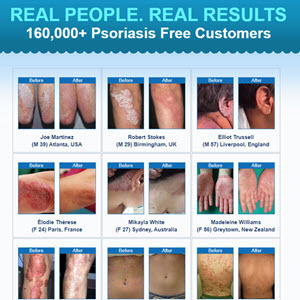 Suicidal ideation in psoriasis. International Journal ofDermatology, 32, 188-190. Gupta, M.A., Gupta, A.K., Schork, N.J., & Ellis, C.N. (1994). Depression modulates pruritus perception: a study of pruritus in psoriasis, atopic dermatitis, and chronic idiopathic urticaria. Psychosomatic Medicine, 56, 36-40. Gupta, M.A., Gupta, A.K., Schork, N.J., & Watteel, G.N. (1995). Perceived touch deprivation and body image: some observations among eating disordered and non-clinical subjects. Journal of Psychosomatic Research, 39, 459-464. Gupta, M.A., Gupta, A.K., & Watteel, G. (1996). Early onset (<age 40 years) psoriasis is associated with greater psychopathology than late onset psoriasis. Acta Dermato-Venereologica, 76, 464-466. Gupta, M.A., Gupta, A.K., & Watteel, G.N. (1997). Stress and alopecia areata: a psychodermato-logic study. Acta Dermato-Venereologica (Stockholm), 77, 296-298. Gupta, M.A., Gupta, A.K., & Watteel, G.N. (1998). Perceived deprivation of social touch in psoriasis is associated with greater psychological morbidity: an index of the stigma experience in dermatologic disorders. Cutis, 61, 339-342. Gupta, M.A., Johnson, A.M., & Gupta, A.K. (1998). The development of an acne quality of life scale: reliability, validity, and relation to subjective acne severity in mild to moderated acne vulgaris. Acta Dermato-Venereologica, 78(6), 451-456. Gupta, M.A., Gupta, A.K., Chandarana, P.C., & Johnson, A.M. (2000). Dissociative symptoms and self-induced dermatoses: a preliminary empirical study (Abstract). Psychosomatic Medicine, 62, 116. Hashiro, M., & Okumura, M. (1998). The relationship between the psychological and immunological in patients with atopic dermatitis. Journal of Dermatological Science, 16(3), 231-235. Hatch, M.L., Paradis, C., Friedman, S., Popkin, M., & Shalita,A.R. (1992). Obsessive-compulsive disorder in patients with chronic pruritic conditions: case studies and discussion. Journal of American Academy of Dermatology, 26, 549-551. Hull, P.R., & D'Arcy, C. (2003). Isotretinoin use and subsequent depression and suicide: presenting the evidence. American Journal of Clinical Dermatology, 4, 493-505. Jick, S.S., Kremers, H.M., & Vasilakis-Scaramozza, C. (2000). Isotretinoin use and risk of depression, psychotic symptoms, suicide and attempted suicide. Archives of Dermatology, 136,1231-1236. Juhlin, L. (1981). Recurrent urticaria: clinical investigation of 330 patients. British Journal of Dermatology, 104, 369-381. Kellett, S.C., & Gawkrodger, D.J. (1999). 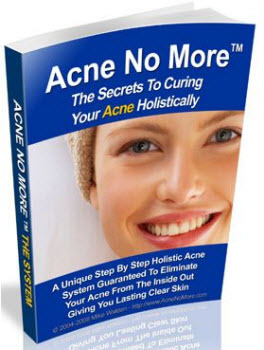 The psychological and emotional impact of acne and the effect of treatment with isotretinoin. British Journal of Dermatology, 140(2), 273-282. Kent, G., & Keohane, S. (2001). Social anxiety and disfigurement: the moderating effects of fear of negative evaluation and past experiences. British Journal of Clinical Psychology, 40,23-34. Kiebert, G., Sorensen, S.V., Revicki, D., Fagan, S.C., Doyle, J.J., Cohen, J., & Fivenson, D. (2002). Atopic dermatitis is associated with a decrement in health-related quality of life. International Journal of Dermatology, 41, 151-158. Koblenzer, C.S., & Koblenzer, P.J. (1988). Chronic intractable atopic eczema. Archives of Dermatology, 124, 1673-1677. Koo, J.Y.M., Shellow, W.V., Hallman, C.P., & Edwards, J.E. (1994). Alopecia areata and increased prevalence of psychiatric disorders. International Journal of Dermatology, 33, 849-850. Lamberg, L. (1998). Acne drug depression warnings highlight need for expert care. Journal of American Medical Association, 279, 1057. Mallon, E., Newton, J.N., Klassen, A., Stewart-Brown, S.L., Ryan, T.J., & Finlay, A.Y. (1999). The quality of life in acne: a comparison with general medical conditions using generic questionnaires. British Journal of Dermatology, 140(4), 672-676. Monti, M., Sambvani, N., & Sacrini, F. (1998). Obsessive-compulsive disorders in dermatology. Journal of European Academy of Dermatology and Venereology, 11, 103-108. Panconesi, P. (1984). Psychosomatic dermatology. Clinical Dermatology, 2, 94-179. Picardi, A., Abeni, D., & Melchi, C.F. et al. (2000). Psychiatric morbidity in dermatological outpatients: an issue to be recognized. British Journal of Dermatology, 143, 983-991. Picardi, A., Abeni, D., Renzi, C., Braga, M., Melchi, C.F., & Pasquini, P. (2003). Treatment outcome and incidence of psychiatric disorders in dermatologic out-patients. Journal of European Academy of Dermatology and Venereology, 17, 155-159. Picardi, A., Amerio, P., Baliva, G., Barbieri, C., Teofoli, P., Bolli, S., Salvatori, V., Mazzotti, E., Pasquini, P., & Abeni, D. (2004). Recognition of depressive and anxiety disorders in dermatological outpatients. Acta Dermato-Venereologica, 84, 213-217. Rees, L. (1957). An aetiological study of chronic urticaria and angioneurotic oedema. Journal of Psychosomatic Research, 2, 172-189. Rubinow, D.R., Peck, G.L., Squillace, K.M., & Gantt, G.G. (1987). Reduced anxiety and depression in cystic acne patients after successful treatment with oral isotretinoin. Journal of American Academy of Dermatology, 17(1), 25-32. Ruiz-Doblado, S., Carrizosa, A., & Garcia-Hernandez, M.J. (2003). Alopecia areata: psychiatric comorbidity and adjustment to illness. International Journal of Dermatology, 42, 434-437. Russo, P.A., Ilchef, R., & Cooper, A.J. (2004). Psychiatric morbidity in psoriasis: a review. Australasian Journal of Dermatology, 45, 155-159. Sadock, B.J., & Sadock, V.A. (2001). Kaplan and Sadock's Pocket Book of Clinical Psychiatry, 3rd edn. Philadelphia: Lippincott Williams and Wilkins, pp. 261-274. Sampogna, F., Picardi,A., Chren, M.M., Melchi, C.F., Pasquini, P., Masini, C., & Abeni, D. (2004). Association between poorer quality of life and psychiatric morbidity in patients with different dermatological conditions. Psychosomatic Medicine, 66, 620-640. Scheinman, P.L., Peck, G.L., Rubinow, D.R., DiGiovanni, J.J., Abangan, D.L., & Ravin, P.D. (1990). Acute depression from isotretinoin. Journal of American Academy of Dermatology, 22,1112-1114. Sheehan-Dare, R.A., Henderson, M.J., & Cotterill, J.A. (1990). Anxiety and depression in patients with chronic urticaria and generalized pruritus. British Journal of Dermatology, 123, 769-774. Shelley, W.B. (1981). Dermatitis artefacta induced in a patient by one of her multiple personalities. British Journal of Dermatology, 105, 587-589. Stein, D.J., & Hollander, E. (1992). Dermatology and conditions related to obsessive-compulsive disorder. Journal of American Academy of Dermatology, 26,237-242. Ullman, K.C., Moore, R.W., & Reidy, M. (1977). 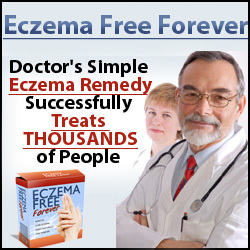 Atopic eczema: a clinical psychiatric study. Journal of Asthma Research, 14, 91-99. Uzun, O., Basoglu, C., Akar, A., Cansever, A., Ozsahin, A., Cetin, M., & Ebrinc S. (2003). Body dysmorphic disorder in patients with acne. Comprehensive Psychiatry, 44,415-419. Woodruff, P.W.R., Higgins, E.M., Du Vivier, A.W.P., & Wessely, S. (1997). 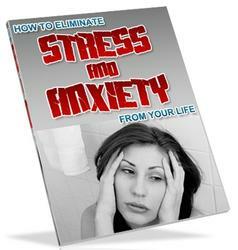 Psychiatric illness in patients referred to a dermatology-psychiatry clinic. General Hospital Psychiatry, 19, 29-35. Yazici, K., Baz, K.,Yazici, A.E., Kokturk, A., Tot, S., Demirseren, D., & Buturak, V. (2004). Disease-specific quality of life is associated with anxiety and depression in patients with acne. Journal of European Academy of Dermatology and Venereology, 18, 435-439. Zachariae, R., Zachariae, C., Ibsen, H.H., Mortensen, J.T., & Wulf, H.C. (2004). Psychological symptoms and quality of life of dermatology outpatients and hospitalized dermatology patients. Acta Dermato-Venereologica, 84, 205-212.